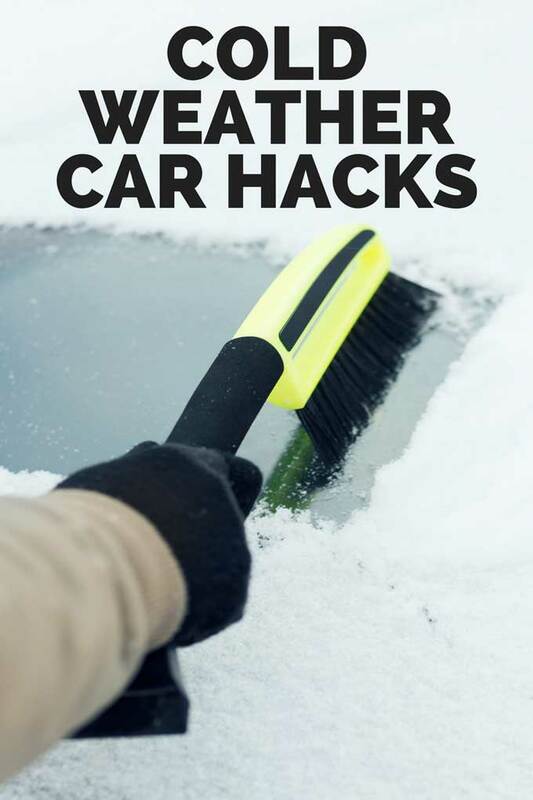 Cold Weather Car Hacks-Get Rid of Frozen Locks and Icy Windshields! 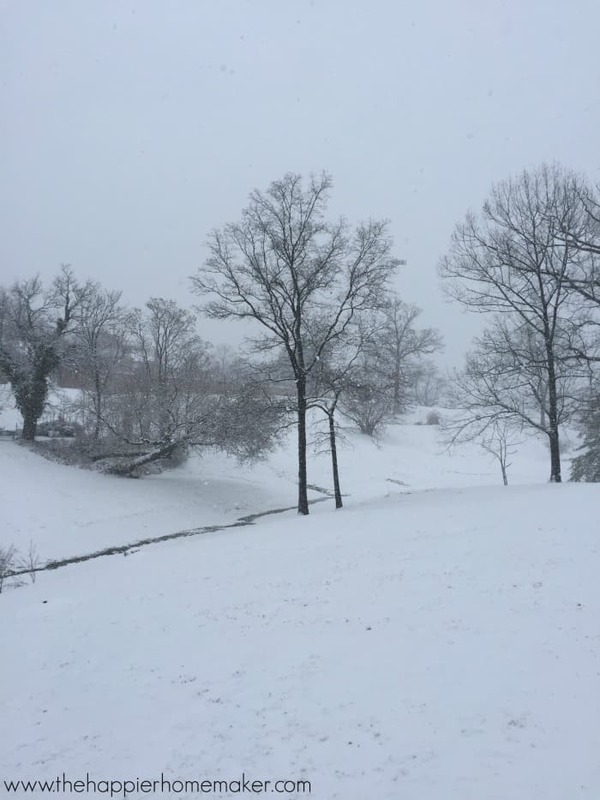 I can’t say that I’m much more snow-savvy despite living in Washington DC for two years before our current home in the UK (and seeing my first blizzard last winter!) But, since my husband Randy is always offering me various tips and tricks for handling winter weather I thought I’d have him share his top Cold Weather Car Hacks here on the blog today! When you know snow and ice are on the way, lift your windshield wipers up overnight to prevent them from freezing to the windshield. You can also cover your windshield with a blanket or cardboard to prevent snow and ice buildup-simply remove in the morning and you’ll be on your way! Park your car facing the sun during the day so the heat from the sun can help prevent ice buildup. If your lock is frozen try heating your key with a lighter or match to warm it up (be careful!) or dabbing a squirt of hand sanitizer on the lock so the alcohol in it can dissolve the ice. Always keep an emergency kit in your car-hopefully you’ll never need it but it’s better to be safe than sorry! Include a blanket, flashlight, bottled water, small snacks, and first aid kit. I keep a backup cell phone charger in mine too. DO NOT use the various homemade vinegar de-icer recipes all over the internet-it doesn’t work and can damage your car. The easiest way to deice your windshield is simply to start your car up with the defroster on full blast, lowering your visors to help keep the heat near the windshield. 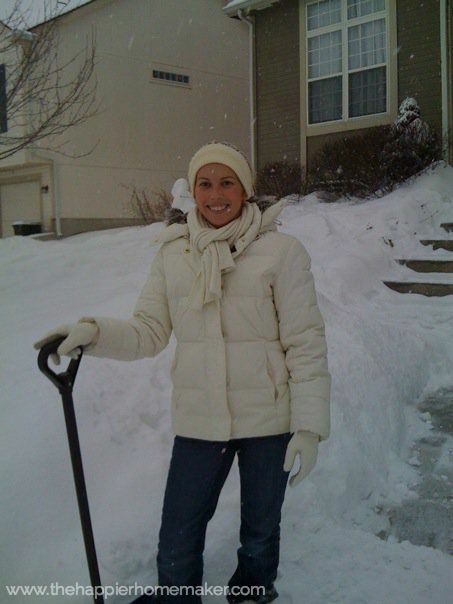 Then simply wipe the snow and ice off after a few minutes. If you DO want a de-icing spray mix one part rubbing alcohol with 2 parts water and spray to melt the ice, again-DON’T use vinegar. Keep kitty litter in your trunk to use for traction if your wheels get stuck in the snow. If you don’t have kitty litter you can use rubber floor mats from your vehicle. That’s all for now-do you have any cold weather car hacks you would like to add to the list?Let us know in the comments and we’ll keep the post updated! To keep your steps clean, cover them with a blue tarp before the snow falls. Lift the edge and throw the snow off after the snow stops. Works great. Ice melts are harsh for pets paws. Before taking pets out to potty apply some protection to their paws. Coconut oil works great. There are recipes for protectors to apply to paws on Pinterest, also. When coming back indoors, dry your pets and check for ice melts between pads and wipe their paws thoroughly.